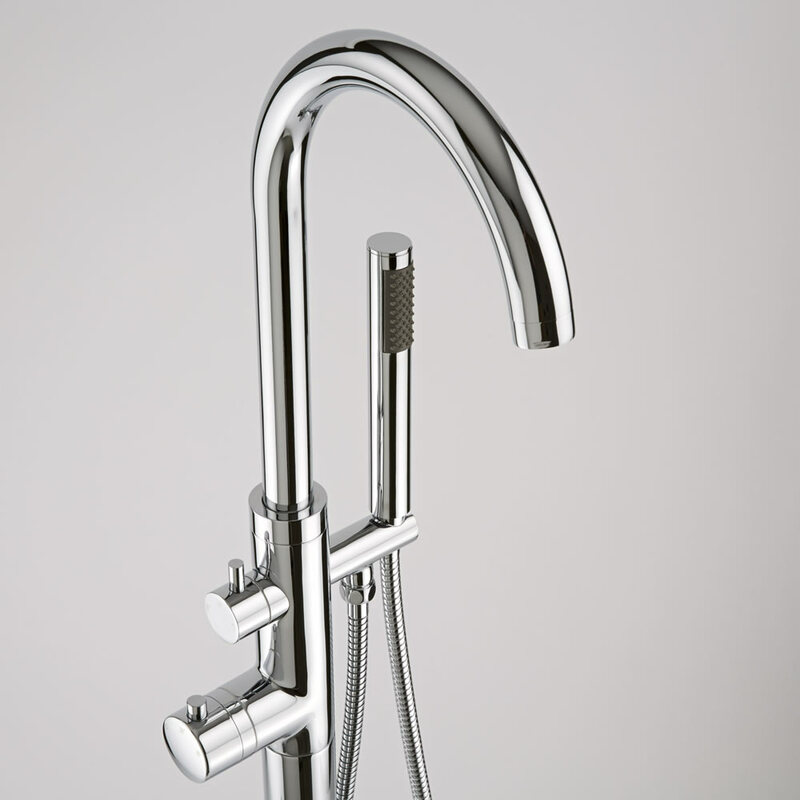 Add contemporary style to your bathroom or ensuite with this stunning bath shower mixer tap from Milano. With a durable chrome finish and an easy to use lever and shower kit, the Milano Freestanding Thermostatic Bath Shower Mixer Tap is perfect for upgrading your bathroom instantly. Made from solid brass to ensure you of long-lasting durability, you can be assured of quality with the Milano Freestanding Thermostatic Bath Shower Mixer Tap. Great for revamping your bathroom or ensuite in an instant, this freestanding tap features ceramic disc technology to help minimise leaks. With a modern design, easy to use lever handles and a stylish chrome finish, this freestanding bath shower tap is the ideal, affordable upgrade to your modern bathroom and comes complete with a shower kit.